Whether you’re looking to race and maximize performance, or simply enjoy canal towpaths of your commute, there’s no denying that gravel roads and paths provide a unique and fun riding experience. That said, not every bicycle tire is suitable for riding gravel. Finding the best bicycle tires for gravel roads is challenging. There just isn’t much quality information out there yet. The rise of gravel racing events in North America, which combine elements of road, mountain biking and cyclocross into long epic distances, has helped to fuel gravel tire developments. You aren’t limited to a single choice any longer. There are over one million miles of gravel roads in the USA alone. Those gravel paths wend through beautiful country and feature very little traffic. If I had to bet, I’d say gravel racing will just get more popular. 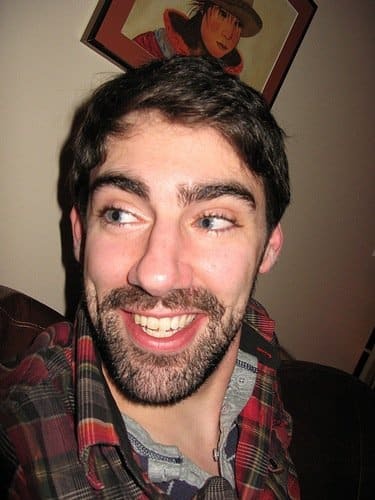 Here’s one thing I guarantee: riding a bicycle on gravel roads is flat out fun. Interested in hopping on this challenging new trend? Here are a few of my favourite gravel bicycle tires worth checking out. To help you track down some choices that will work for this intense cycling style, we’re going to put five of the top gravel bike tires through their paces. Among other things, we’ll be analyzing their performance, tread pattern, durability, speed, and surface suitability. Hopefully, by the end of the article, you’ll have narrowed down the right set of shoes for your ride. Ready for a few reviews? Read on! The name of this tire is a dead giveaway. By putting 8 small blocks across the width of the tread Kenda have created an awesome tire which performs well in most conditions. The huge number of tread knobs do a great job in catching the small pieces of rock which make up a dirt road. This beefy grip helps to propel you forward and provides stable performance in hard pack conditions. While it was designed as a fast tire for mountain biking and cyclocross riding in dry conditions, the highly versatile Kenda Small Block 8 offers a lot more in terms of its flexibility. It’s an excellent tire to speed you across rugged roads, and an overall awesome multi-surface bicycle tire. If you’re looking for a “jack of all trades” type shoe, this is the one you’re after. These Kendas are definitely worth consideration for cyclocross racers looking for a light weight, hard pack tire that will take fire roads and singletrack in its stride. The Small Block 8 is available in a huge range of sizes for 26, 27.5 and 29 inch wheel mountain bikes, as well as 700c cyclocross and touring bikes. It’s a great, versatile gravel bike tire with positive reviews, well worth checking out. The impressive Clement X’Plor MSO gravel tire is named after the airport code for Missoula, Montana, which also happens to be the home of the Adventure Cycling Association. The tire comes in 700x 32mm and 700x 40mm sizes. With a high tread knob density in the centre of the tread, it will tackle pavement with relative ease. Yet with its more aggressive outer lugs this is clearly a mixed conditions tire. You could easily use this to ride early season cyclocross, a 100 mile gravel event, or trek over the high passes of the Himalayas. Pick your pleasure, the MSO is up for it. If you’re running a tubeless set up, or considering it for future gravel riding, the Trigger Pro could be the best option for you. 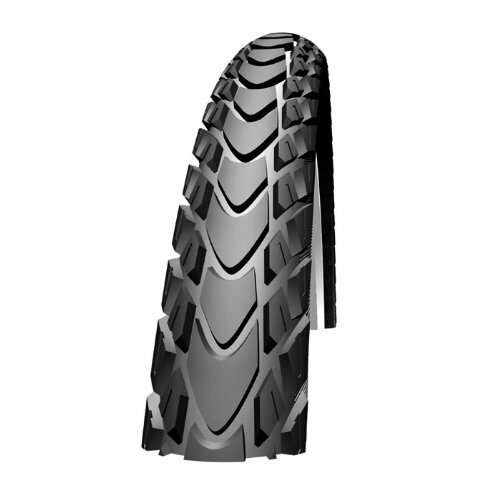 Designed as a dry conditions cyclocross racing tire, the Trigger Pro features a file-like central tread to enhance surface contact area in dry and wet conditions. External high rise lugs provide predictable cornering bite under controlled braking. The Trigger Pro is only available in a 700x 38mm or 33mm format. Despite that limitation, the Trigger Pro is an excellent gravel bike tire from an outstanding brand. If you’re looking for a top-quality gravel cycling tire that can handle ultra long-distance touring and trekking, the super durable Schwalbe Marathon Mondial could be the right tire for you. This tire is purpose-built to survive mile-after-mile on cycling expeditions where the roads are likely to be unpaved. Despite that, the Mondial is designed to not sacrifice too much speed when you have the chance to riding on smooth tarmac surfaces too. The Marathon Mondial features a unique, wide, closely packed central tread to keep rolling resistance down, with less tightly packed side blocks to allow some bite where required in loose or slightly muddy conditions. 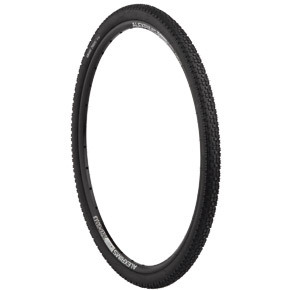 Schwalbe’s Marathon range has always offered exceptional puncture resistance and durability. The Mondial features a double defence of Snakeskin sidewall protection and a performance engineered, nearly impenetrable breaker strip beneath the tread. Combine these features with the extra hard Endurance compound and you have a tire which is going to fight hard against punctures. The extreme durability of the construction make the Mondial a heavy tire, but if you’re trekking that matters little. A few extra grams is better than repeated flats. 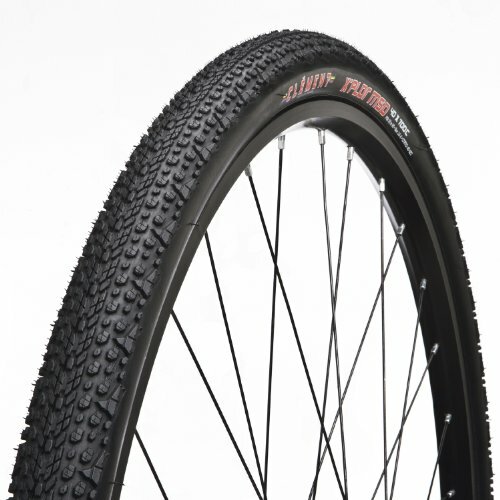 This tire marries the much needed characteristics of puncture resistance and durability to the ultimate level, and it’s therefore one of the top gravel bicycle tires for long distance touring. Surly are a company who do things a little differently to the norm. They have built their reputation based around comfort and user experience over eye-catching design. The Surly Knard tire is a do-pretty-much-anything tire which features tightly packed 4 mm, closely spaced blocked to reduce rolling resistance on the roads, while providing enhanced trail handling when the path takes you into the wilderness. A 700x 41 mm size means that the Knard has enough girth to conform to the ground surface, absorb road bumps, vibrations and provide a decent sized contact area for enhanced grip characteristics on your cyclocross or touring bike. For mountain bikers there’s the option of 26x 3.8 inch and 29x 3 inches so no matter what you’re riding you can roll over the gravel with ease. It’s a fantastic gravel tire for mountain biking, cyclocross or touring. You name it, the Knard can handle it. Specialized now offers the ‘Trigger’ in a 38c in addition to the 33c – both are tubeless ready options. The 38c has a hitch more resilience using the ‘Endurant’ casing for tougher sidewalls. It’s a great addition to the 33c. Fantastic! Thanks for the update Mark!